Your first stop should be the Pocatello Visitors Center. Take exit 67 and the signs will lead you there, as will the sweet aroma of the Rotary Rose Garden just behind the center. The staff at the Visitor Center can provide information along with a list of events taking place in the area. Winter Snow brings ski enthusiasts out of the woodwork in the Pocatello area. 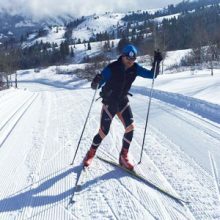 And it’s no wonder considering that there are five groomed Cross Country Ski Trails and Pebble Creek Ski Area just minutes away. 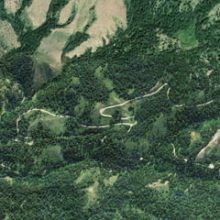 Bannock County grooms over 250 miles of snowmobile trails in Bannock, Power and Caribou counties. 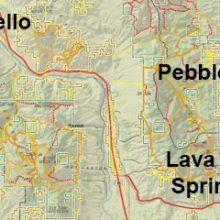 The two main areas are Scout Mountain-Mink Creek area and the Inman-Pebble-Toponce area. 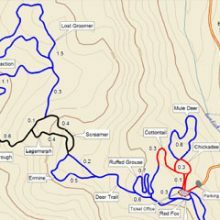 Snowmobile Maps. The Ross Park Aquatic Complex is more than just a pool! It is a community gathering place for kids of all ages to play, recreate and have an all around fun time. A 25 yard by 25 meter Swimming Pool, a zero depth Children’s Water Playground, Lazy River, Activity Pool with huge water play elements and a waterslide will provide many hours of summer fun. Ross Park is also home to the Zoo Idaho, dedicated to the preservation and understanding of native North American animals. The animals are displayed throughout 18 acres of natural one-of-a-kind landscapes. 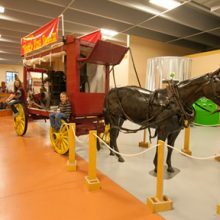 The park is also home to the Fort Hall Replica, a reproduction of the pioneer town Pocatello Junction, and the Bannock County Museum. Pocatello is also home of the Fort Hall Replica. 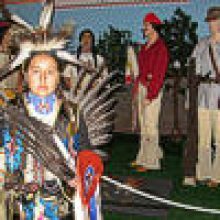 The replica of the stockade trading post tells the story of one of the most thrilling periods of American history, when a young nation full of adventure and wanting new lands began the trek Westward migration that any nation had known. 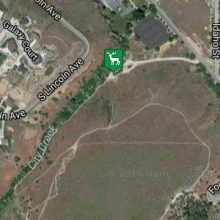 It is also located in upper Ross Park next to the Pocatello Zoo. Fort Hall Replica Website. From specialty shops to fine international cuisine, Old Town Pocatello is a magnet for people looking for a unique, historic experience. The Historic Walking Tour features buildings listed on the National Historic Registry with the dates like 1892 and 1903, whose architecture is as beautiful today as when first built. These buildings are alive with antiques, sporting goods, books, bakeries, restaurants, art galleries and more. Pocket parks are scattered throughout the area, some with beautiful public art pieces and others with water fountains and benches. 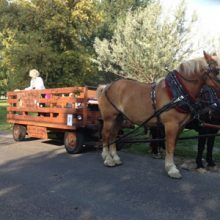 Events and entertainment includes outdoor summer concerts, haunted history tours and the Portneuf Valley Farmers Market featuring a variety of locally grown produce. 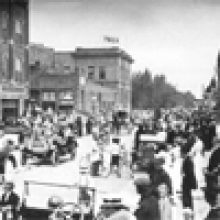 There’s always something happening in the historic heart of Pocatello. Come shop, dine and play in Old Town Pocatello today! 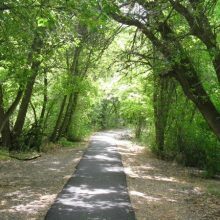 The Portneuf Greenway has nature filled trails at either end of the community and islands of green for ordinary pedestrians in the Historic Old Town area. It includes 13+ miles of walking and biking paths along the river in town. It is open to bikers with a courtesy eye out for runners and walkers. 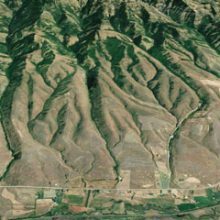 The Greenway provides a place for visitors and resident to ride bikes, hike, walk, jog, rollerblade, and for physically challenged people to exercise and experience the natural beauty of Pocatello Idaho. The Bannock County Event Center hosts several Rip Roaring Rodeos each year! 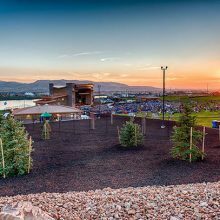 The new Portneuf Health Trust Amphitheatre hosts great concerts during the summer. 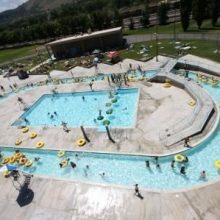 The Portneuf Wellness Complex offers a fishing and recreation pond and physical fitness fields. 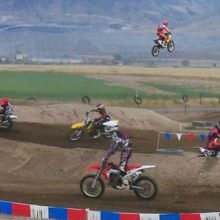 If you feel the need for speed, the Pocatello Raceway Races offers our local versions of Gasoline alley. The L.E. and Thelma E. Stephens Performing Arts Center is an impressive 110,000 square foot facility on the Idaho State University campus. Its magnificent architectural design will make it the most extraordinary building of its kind in Idaho, boasting three versatile performance venues and auxiliary spaces designed for academic work and community enjoyment. 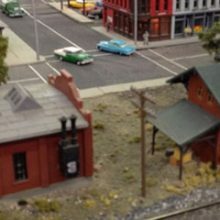 We are pleased to share with you some of the pleasures that we enjoy in model railroading and preserving some of the history of railroading. The East Mink Creek Cross Country Center has extremely high quality trails that had a major renovation in 2012. The core trails were widened and smoothed with a road grader. 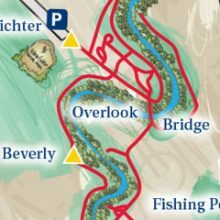 it hosts approximately 20k of groomed skate and classic ski trails, as well as separate snowshoe trails and a sledding hill. A 30′ yurt is open every day as a warming hut. 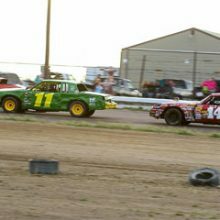 Pocatello Speedway is a 1/4 mile slightly-banked paved oval located next to the Pocatello Regional Airport west of Pocatello. 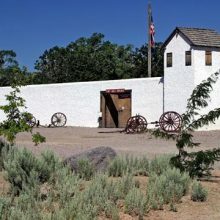 Fort Hall is a replica of the historic facility that served pioneer travelers along the Oregon Trail. Enter the massive wooden gates and wander through the Company Hall, Frontier Room, Indian Room, Factor’s Quarter, Blacksmith and Carpenter’s Room. 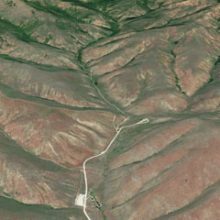 This popular recreation area near Pocatello offers a variety of motorized, mechanized, and non-motorized trail opportunities managed by the Bureau of Land Management. Located in Ross Park, this zoo showcases native animals of the Rocky Mountain region in a natural setting. 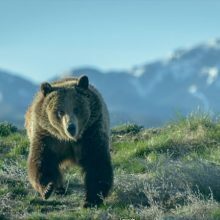 Enjoy wildlife viewing, photography, hiking, horseback riding, Cross Country skiing, and hunting in this area reserved for big game and upland bird habitat. 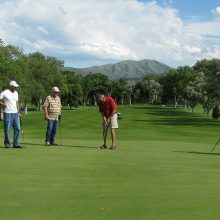 The 18-hole course at the Highland Golf Course facility in Pocatello, Idaho features 6,512 yards of golf from the longest tees. Par 72. 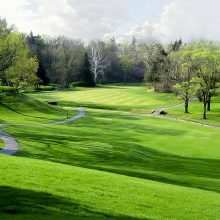 This medium-length layout has 3 sets of tee boxes for a fun, but challenging golfing experience. 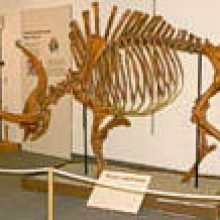 Idaho’s Natural History: Don’t just see it, experience it! Visitors will discover dinosaurs, ice-age mammals, how to live off the land, and more. They can also experience science hands-on in the Discovery Room! The Portneuf Greenway features miles of paved beautiful walking and biking trails. They run along the Portneuf River, inside Ross Park and on the ISU campus. Family sports park in Pocatello. 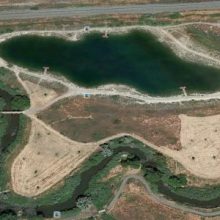 There is a 7-acre lake with a swimming beach with fishing access. There is mountain bike park and a large children’s playground. It has multi-use sports fields, basketball courts and a sand volleyball pit. 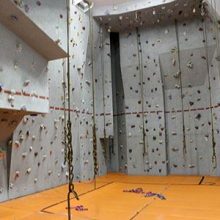 Pocatello City Parks and Recreation Community Center has an great rock climbing wall open only from Thanksgiving to Spring Break. The theme, purpose, and value of the museum is to sell the public on the value of clean. Cleaning efforts over the centuries will be chronicled through displays, demonstrations, and even dramatized in a cleaning melodrama. Items dating back more than 2000 years, along with an amazing collection of pre-electric vacuums, are part of the collection. 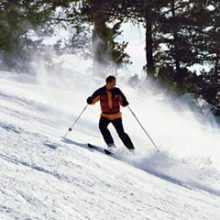 Pocatello Idaho snowmobiling, ATV riding and mountain biking trails. Pebble Creek Trailhead for snowmobiling, ATV riding and mountain biking near Lava Hot Springs Idaho. The Bannock County grooming program maintains 250 miles of snowmobile trails including the Inman/Pebble/Toponce area and the Scout Mountain-Mink Creek area. A warming shelter and parking is available in each area. 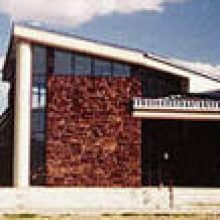 The Bannock County Historical Museum houses exhibits, objects, and records relating to Bannock County and Pocatello’s history. 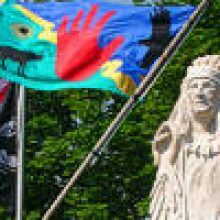 Exhibit themes include railroad history, early medical practices, general store, the military, Victorian era parlor and Shoshone-Bannock Indian artifacts. The 18-hole course at the Riverside Golf Course features 6,357 yards of golf from the longest tees. Par 72. Beautiful lava rock scenery. 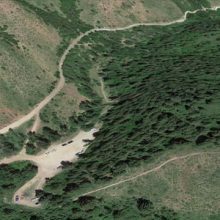 This Forest Service developed site near Pocatello includes trails and an amphitheater. Over 100 bird species have been documented in the area. Commonly seen mammals include the least chipmunk, red squirrel, white-tailed jackrabbit and raccoons. A Shoshone Indian Chief who gained national notoriety during the struggle between white emigrants and Native Americans. 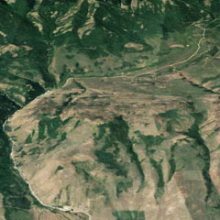 When he died in 1884, he was buried in a deep spring in Idaho along with his clothing, guns, knives and hunting equipment. The city of Pocatello is named in his honor and erected his statue at the Pocatello Visitor’s Center. Step into the past with a visit to the Shoshone-Bannock Tribal Museum. This museum is dedicated to those kind and generous people in our community who see a real need to tell our story from our point of view. With old photographs, displays and exhibits you will have a chance to learn how the Shoshone-Bannock people lived and settled the area around eastern Idaho. This district is architecturally and historically significant and is one of the regions most diverse and well-preserved urban street scapes. A variety of architectural styles are represented in the district, including Gothic Revival, Romanesque Revival, Sullivanesque and Art Deco, as well as many adaptations of early 20th-century commercial styles with classical details rendered in either sheet metal or terra cotta. PVB is a fully operational brewpub offering great food and fantastic beer. PVB serves wine and a range of PVB brew (8 mainstays and 2 rotating seasonals) by the glass as well as handcrafted root beer. 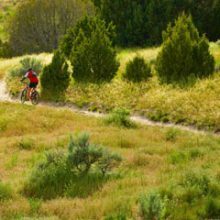 The hills and mountains around Pocatello Idaho are covered with world class mountain bike trails. Terrain ranges from mild jeep roads to technical single tracks for abilities of all levels. A vertical playground that attracts skiers of all abilities with 2,200 vertical feet, 1,100 skiable acres, 54 runs, terrain parks, glades and virtually non-existent lift lines. 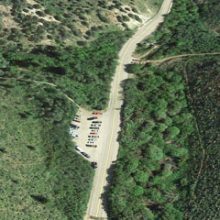 52 miles of single track and 3 motorized routes across 3000 acres of city owned property in the foothills attract bikers, runners and outdoor lovers. The Ross Park Aquatic Complex (RPAC) is more than just a swimming pool! It has a 25 yard swimming pool, a zero depth kids pool, lazy river, activity pool with huge water play elements and water slide.